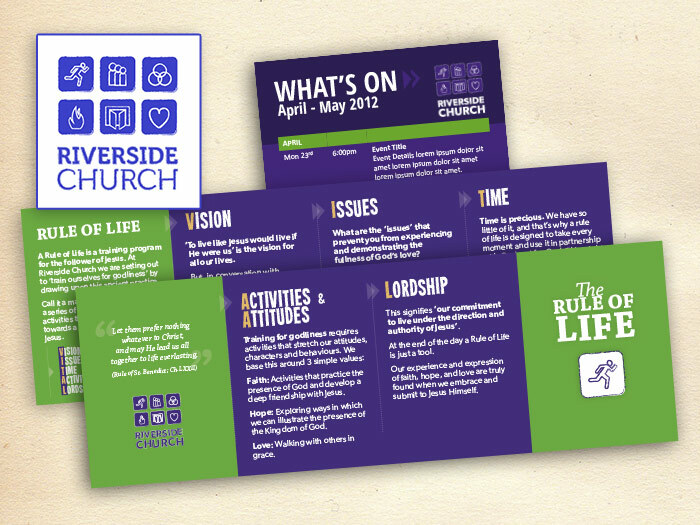 Logo and branding, plus some print work for a new church planted in Leeds. Two folded leaflets explain simply who the church is and what it stands for, and the rule of life by which they seek to live. The main logo is a composite of six smaller icons which represent the core values of the church community. © 2019 Richard Lyall Design All Rights Reserved.